Purifying water is essential in making it drinkable. Water needs to be purified to eliminate parasites that cause amoebic dysentery and Giardia. There are several different methods used to purify water. Some are chemical methods and some are not; some are more effective than others are when purifying water. Using iodine-based methods to purify water is common. Such methods include iodine tablets, iodine solution and Polar Pure Water Disinfectant. When using iodine tablets, you must allow at least 30 minutes when trying to purify cold water and approximately 10 minutes if the water is hot. When using iodine solution, you must allow 30 minutes to purify cold water and 15 minutes for hot water. Polar Pure Water Disinfectant is a type of glass bottle that contains iodine crystals. All you have to do is fill up the bottle with water and follow the attached instructions because instructions vary by the manufacturer of the bottle. Using chlorine-based methods to purify water is also quite common. Such methods include chlorine tablets and super-chlorination. Chlorine tablets will not kill Giardia alone so they must be used in conjunction with a fine filter. Super-chlorination is known to be effective and uses high doses of chlorine. After a high dose is used, it is later neutralized, using hydrogen peroxide. Using a water filter to purify water is becoming increasingly popular in developed countries, such as the United States. These filters can be added to a sink faucet or to a specially designed water pitcher. All these filters are different and the instructions will differ, depending on the manufacturer. 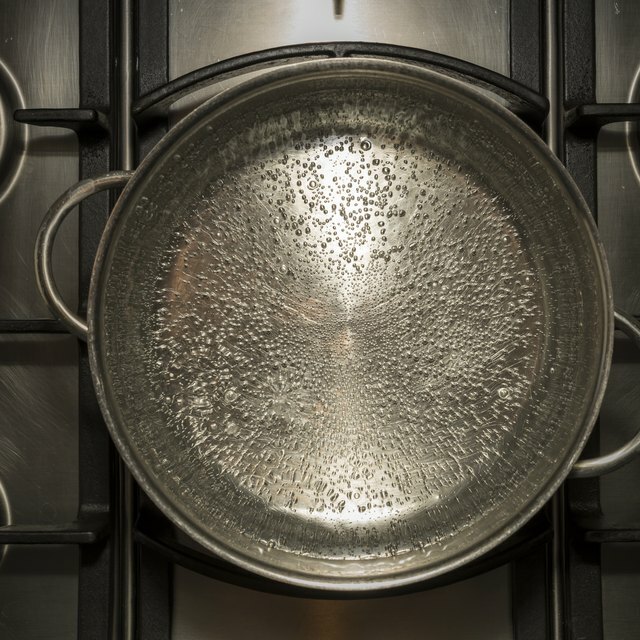 Boiling water is the easiest way to purify it. This method is effective in eliminating a good amount of parasites as well. When boiling water, it is important to let it come to a boil and then to boil for at least 10 to 15 minutes and to add an additional minute for every 300 meters you are above sea level. Some parasites take less than a minute to die during the boiling. Some--such as hepatitis A--take longer, so it is important to try to boil out all parasites. Distillation is a way to purify water. Most bottled water is purified by distillation. A variety of organic compounds and certain impurities, such as silica, carbon dioxide and ammonia, will still be present after distillation. During distillation, the water evaporates through being heated and then the condensed vapors are collected. Kitchen, Rose. "What Are the Different Methods of Purifying Water?" Sciencing, https://sciencing.com/different-methods-purifying-water-5194243.html. 13 March 2018.